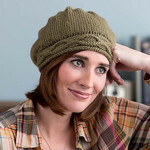 I got some of Knit Picks' new Simply Cotton Heathers a few weeks ago and immediately knew what I wanted to do with it. 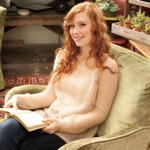 Last spring and summer, I absolutely lived in this little cropped cardigan thing -- it's made out of beige sweatshirt material and looks like a tiny cropped military jacket. Sounds odd, but I swear, wearing it relaxed and hanging open was both comfy and went with everything. So when I got this cotton yarn, I wanted to create something similar but different. 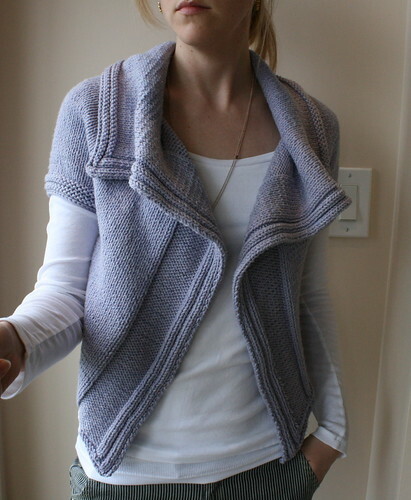 I ended up with the Lilas Cardigan, which has the same comfy fit, neutral-ish color, and good layering ability, but a completely different style altogether. I actually like it closed, too. One thing I love about this yarn is its color options. I was drawn immediately to this lilac color and am still completely enamored of it. 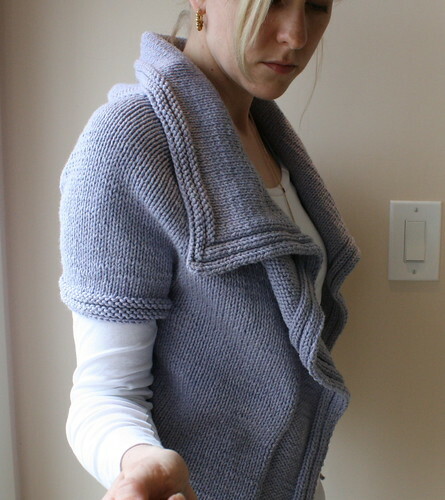 I couldn't get it out of my head when I was trying to name the sweater, so what I ended up with is French for lilac. Not too clever, I admit. 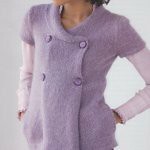 Lilas is knit from the top down with some ease, raglan sleeves, and a big, floppy collar. A pattern is forthcoming! okay, i MUST have this. 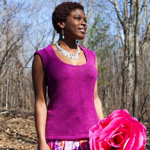 i also have a sweatshirty floppy collared cropped cardigan in a dusty purpley color that i wear all the time. (anthro?) this is adorable, can't wait for the pattern. Oh, I love this! Can't wait for the pattern! Hilary - you have OUTdone yourself - I love this one (well, love them all but really this one - love)!! I like it's versatility and I think I have some yummy stash that will be just perfect! Yes, lovely pattern, lovely color and très beau nom (very nice name)! gorgeous!! I love the colour, and the edging looks great- stylish but still simple. Awesome job! 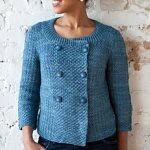 I absolutely love this sweater and look eagerly to the pattern. Thank you for the great design. 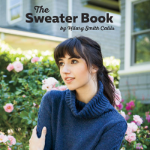 Seriously, you just keep cranking out these great sweater patterns! I want to knit everything you make and I don't think I can ever catch up (but I'll have fun trying)!!! Another winner- I love it! I love, love, love this design! Can't wait for the pattern!! I do the knitting for 30 years. Now I knitt only on circular knitting needles. My sweaters do not have stitches. So comfy yet stylish looking! Very cute! 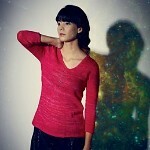 Oh I have never tried a sweater but this one is so beautiful it may have to be my first. Incredible!!! I love how it looks closed, too! Great spring color choice. So pretty! I like it closed, too. Congratulations on another lovely knit. 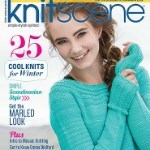 I just received the KP catalog and noticed the dyed worsted cotton - glad to hear it's a nice yarn to work with. you are amazing! I am so in love with this one. i can not decide if I should make this one or A cloudy Sunday first. Stunning! I can not wait to see the pattern! i like it closed and open! 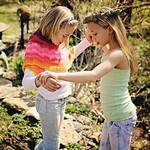 I just found your blog, and I have to say that I just love your designs. I am planning to start Citron as my next project. I am looking forward to following your blog. 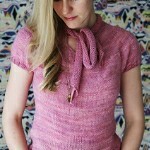 Wonderful versatile collar! Love it! This is absolutely gorgeous!! I have to have this pattern! Can't wait. Great sweater...looking forward to the pattern...soonish I hope? And it looks good either open or closed. And the pattern is coming...when? 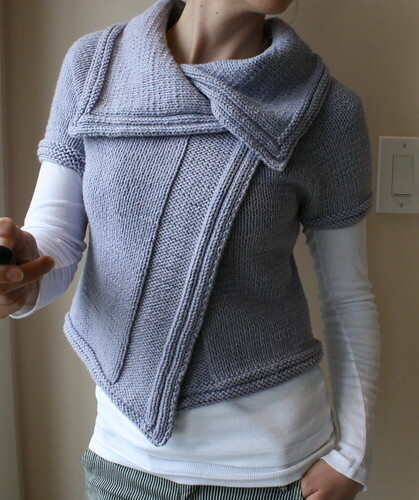 Can't wait to knit this! ooohhh I sooo love this fancy little jacket!! So simple and chic... 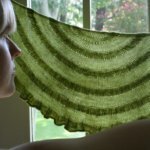 I NEED the pattern!